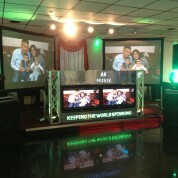 AK Musik has 12 years of experience in the DJ scene providing Asian and Indian DJ entertainment services globally. 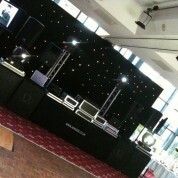 We are sure that we can deliver an event that will wow your guests and leave a lasting memory. We pride ourselves on an exceptional standard of entertainment and have an immense song catalogue, state of the art digital sound system and a personalised service which can be tweaked to your exact requirements. 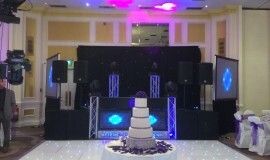 Have a look through our asian dj packages from the bronze which has a digital sound system which caters for 100 guests, 2 moving light head light show and smoke machine through to our platinum package which has a digital sound system that is suitable for 1000+ guests, moving head controlled with software, starcloth, smoke machine, laser, plasmas, projectors, dhol players, plasmas and LED vision cloth which allow you to view videos, text and graphics from a distant perspective. 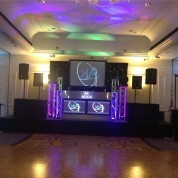 We are devoted to providing Asian DJ and Indian DJ services for any social occasion including weddings, birthdays, dinner and dances and corporate events.